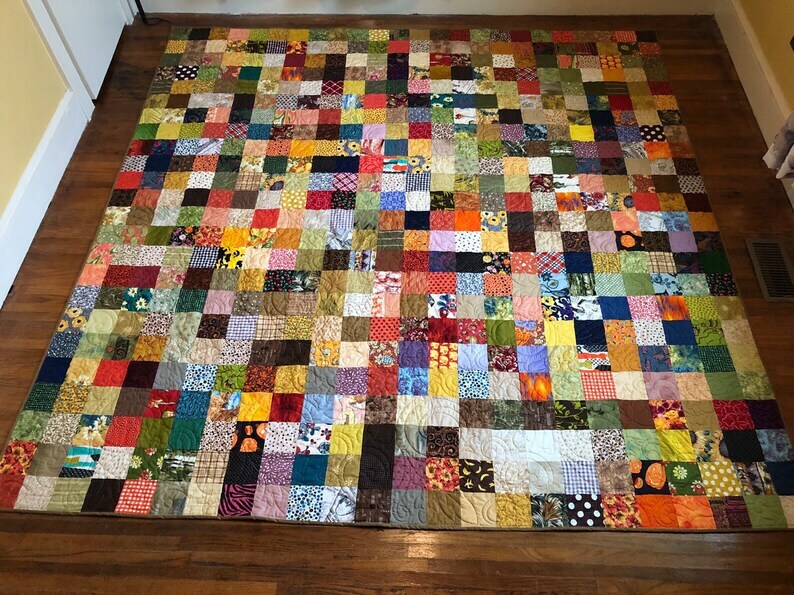 Queen size patchwork quilt featuring rich autumn colors. The backing fabric is a solid beige fabric. Quilt has been professionally quilted in an all over leaf pattern. Perfect for fall decor.The binding is a rich brown fabric that is machine attached for durability. This is our second quilt for 2019 and we have named it Benny. My favorite block is the orange with a purple dots!